Baltimore Comic Con 2012 was another big success for Comics Experience alums and Workshop members, and a great time as well. Our second annual Baltimore "Comics Experience Meet-Up" happened Saturday night at Tír Na nóg. More than twenty people showed up to talk comics (and more) including alums/Workshop members Chris Lewis, Elizabeth-Amber Love, Gannon Beck, George O'Connor, James Babbo, Janine & Ken Frederick, Joe Sergi, Joey Groah, Neil Fisher, Nick Dedual, Rich Douek, Rob Anderson, Ryan Murray, and Scott Dubin. After the meet-up, some folks headed to other locations, including the Hyatt Bar. CE alum Amy Chu was there, post-Harvey Awards ceremony, and even filed her own "Convention Bar Report" after the fact on The Beat. 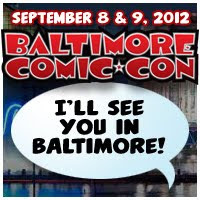 You can read her report right here: On the Scene: Baltimore Comic-Con Night -- Part I. Another highlight of the convention for many members was Tom Brevoort's Marvel Boot Camp panel. For two hours, Tom shared the presentation he gives to new Marvel Editors each year. This was the first time the session had ever been given outside of Marvel, and attendees were asked to purchase tickets to benefit the Hero Initiative. Finally, the convention was a success for our members exhibiting at the show, with heavy crowds through most of the weekend. 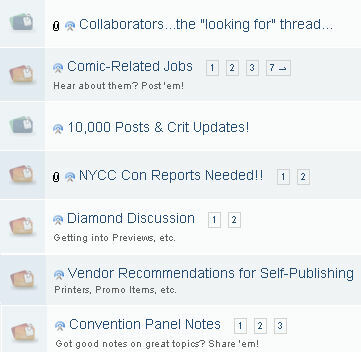 Some members were exhibiting at a con for the first time, while others are old pros at the convention circuit. One member, Chris Lewis, travelled all the way from Germany to debut his new comic, Drones! Other Comics Experience-related exhibitors included Comics Experience coloring instructor Chris Sotomayor, Joe Sergi (Aliens Among Us), George O'Connor (Healed), Joey Groah and Gannon Beck (both of Space Corps), Amy Chu (Girls' Night Out), and James Babbo (The Moses Militia). To check out more information on all these projects, including trailers and cover art, check out our pre-convention blog right here! Thanks to all our members who attended the meet-up. It was great seeing everyone!